Travelbag offers a wide and varied selection of fantastic hotels in the New Zealand South Island & Christchurch area to meet all of your discernible needs. 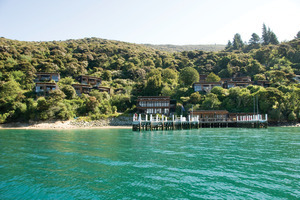 Whether you are travelling on a budget and require a cheap hotel, seeking something to accommodate the entire family in comfort, or treating yourself to a luxuriously appointed resort, Travelbag pledges to offer a New Zealand South Island hotel to suit everyone. 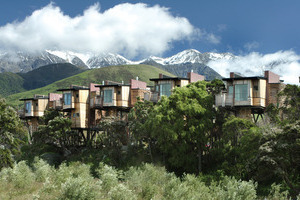 Here is just a selection of our favourite and cheapest hotels in South Island & Christchurch. Please use our search panel above to find your perfect choice. 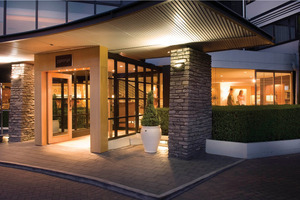 The Copthorne lies within an easy walk of the resort centre of Queenstown and a few minutes' stroll from Lake Wakatipu, with excellent views of the lake and surrounding mountains. An ideal base for your Queenstown stay, unwind in the hotel's Lakefront Bar enjoying fine New Zealand produce including excellent ... wines from Central Otago. The Heritage has one of the best views of any property in Queenstown, with an elevated setting overlooking the awe-inspiring vista of the mountains across Lake Wakatipu. It's just a five-minute downhill drive from the resort centre and makes an ideal sanctuary with a welcoming atmosphere, cosy log fires, excellent ... service and great leisure facilities. 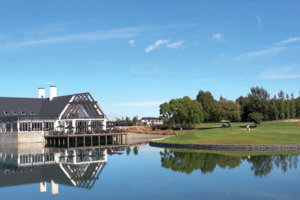 Taking its name from the surrounding shimmering lakes and waterways, Peppers Clearwater is set within beautiful grounds of golfing greens and fairways and lies a 15-minute drive away from Christchurch city centre. The hotel’s contemporary boathouse design encompasses elegant accommodations, all with lake and fairway views. 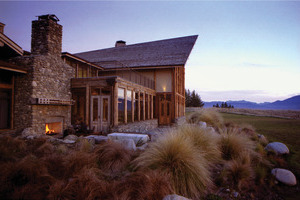 The resort’s own 18-hole ... golf course hosts the New Zealand Open and offers a range of other activities. 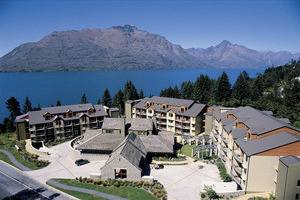 Unquestionably the best lakeside location in Queenstown, the Crowne Plaza has the resort township at its doorstep and offers stylish and contemporary rooms with awe-inspiring views of the Remarkables mountain range and invigorating Lake Wakatipu. You’ll feel utterly at home in luxurious and comfortable surroundings, with the best of Queenstown’s ... local attractions close to hand and amenities such as 24-hour room service, sauna and excellent bar and restaurant facilities. The layout of the hotel means that rooms maximise the privacy and use of their own individual balcony, or offer direct access to the sunny courtyard. 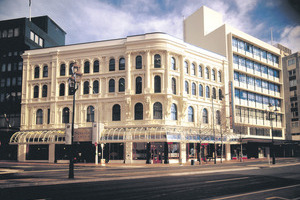 The extensively refurbished Scenic Hotel Southern Cross is situated in Dunedin's lively city centre, just a short walk to the Octagon, railway station, theatre, shops and other attractions. 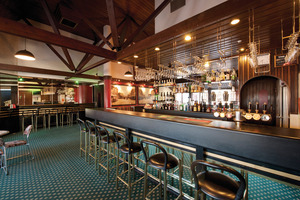 The hotel has a proud history dating back to 1883 and blends old-world charm with all modern comforts. Each of the guestrooms ... are finished to a high standard and located within three different wings. This stylish property offers a relaxed atmosphere with plenty to entertain its guests. St Clair, Dunedin’s coastal quarter, is known as one of New Zealand’s best surfing beaches and is considered one of the ‘must visit’ spots in the city. The St Clair Beach Apartments lie on the beachfront, just a few minutes from the centre and boast expansive views of the surrounding ... hills, St Clair’s unique hot salt water pools and the Pacific Ocean. These newly built luxury boutique accommodations are designed to offer all modern comforts and feature solid timber furniture, kitchenette facilities including fridge, toaster and microwave, and many also boast panoramic floor-to-ceiling windows. There are plenty of pursuits to follow here: coastal walks, a four-kilometre stretch of beach to explore, local surf school, an array of bars and dining in the hotel’s chic restaurant widely considered to be one of the best in the area. The promenade’s new heated outdoor salt-water swimming pool (open October – March) is just a minute’s stroll from the hotel and ideal for a refreshing morning dip while watching the spectacular sunrise. This wonderful hotel is defined by its warm spirit and distinctive style, and its recent makeover makes it one of the funkiest and most luxurious places to stay in Queenstown. The hotel has an excellent location, boasting stunning views over Queenstown just a five-minute downhill stroll from the resort centre. ... The hotel's public areas - the Lombardi Bar, dining room, library and den - are collectively known as the 'Lombardi Quarter', a signature establishment offering an array of dining styles and spaces, including an al fresco balcony, each with an ambience of conviviality. Located adjacent to Queenstown Gardens, through which meandering shady paths will take you directly to the lakeshore, this elegant boutique hotel enjoys a quiet setting. The centre of Queenstown is just a three-minute walk away. Ideal for independent travellers looking for either relaxation or the ultimate adventure getaway, the hotel ... is a cosy ski retreat in winter and a relaxing shady haven in summer months. This luxury boutique hotel is regarded as the best in Christchurch, and represents the very essence of understated and effortless comfort. 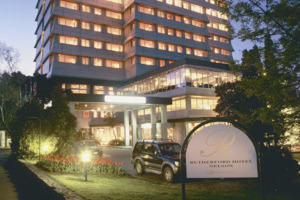 Its quiet and spacious rooms boast a stylish eye for detail, and many have views overlooking Hagley Park and the River Avon. The George is just a few minutes' ... walk from the city centre and is renowned for its contemporary fine dining offering two award-winning restaurants; 50 on Park and Pescatore. 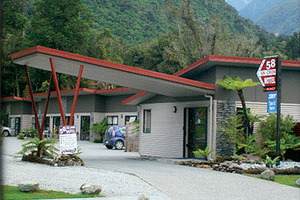 This modern and affordable motel property is located within a picturesque glacial mountain and rainforest setting just a short stroll from the heart of Franz Josef village in South Westland. 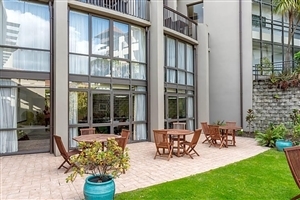 All the self-catering units are spacious, well-equipped and set on the ground floor giving easy access to the hotel’s native ... bush garden area where picnic furniture and barbecue facilities allow guests to listen to the sounds of the evening bird song as you wine and dine. Tucked away on the shores of a stunning bay on Queen Charlotte Sound, this elegant retreat allows guests to soak up the peace and quiet or make the most of the sailing, kayaking, fishing and walking. Water-taxi transfers to/from Picton must be pre-booked, take 30 minutes in each direction and ... cost from £49 per person return; there is no road access. 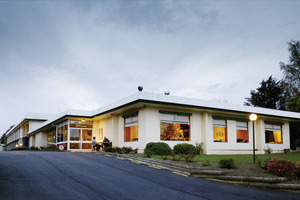 Beachfront Hotel Hokitika is an ideal base from which to explore the West Coast, uniquely located on the shores of the Tasman Sea and in the centre of town. The luxury Ocean View Wing offers dramatic views of the ocean from modern and stylishly-furnished rooms, all just steps from the ... beach. The Ocean View Restaurant is elevated above the beach, allowing you to enjoy top-quality dining whilst watching the waves break on the shore. Conveniently positioned just off the main highway through Kaikoura and a 5-minute walk from the town centre, this quality motel combines an ideal location with affordable self-catering accommodation. 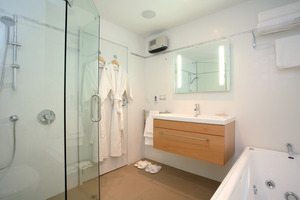 The fully-serviced studios offer a number of room options including spa bath units and one-bedroom family apartments. The motel is perfectly placed ... for experiencing the area's unique natural wildlife encounters such as whale watching and dolphin spotting. 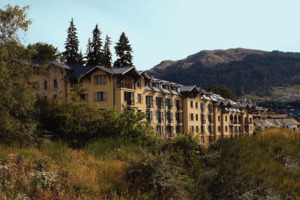 Formerly the Kingsgate Terraces, recent redecoration has now transformed this hotel into the new Copthorne Hotel & Apartments Queenstown, Lakeview. Located within walking distance of the centre of Queenstown, the hotel boasts spectacular views of Lake Wakatipu and the powerful Remarkables. The spacious accommodations also offer generously-sized private balconies, perfect ... for admiring the stunning views over a glass of local wine. 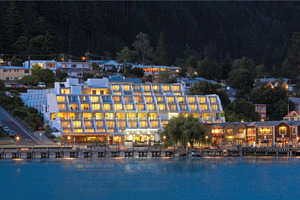 This is the ideal base from which to enjoy the many attractions Queenstown has to offer. Without doubt one of the best places to stay on the rugged West Coast, the Te Weheka is a modern, purpose-built boutique hotel just a short stroll from the village of Fox Glacier. The glacier itself is just a few minutes' drive away. Te Weheka offers the relaxed charm of ... a bed & breakfast property combined with hotel-style facilities, including a comfortable lounge where you can help yourself to a free glass of local wine each evening, and spacious guestrooms offering elegant comfort. The luxurious Fiordland Lodge offers the discerning traveller outstanding levels of comfort, privacy and customer service, and perfectly reflects its beautiful setting through the clever use of natural timber and stone. 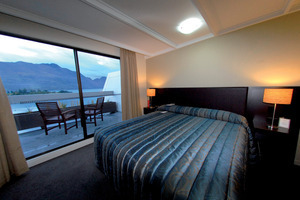 From its elevated setting, it affords panoramic views of Lake Te Anau. This is a place of pure relaxation, ... the rural setting ensuring peace and quiet in which to contemplate the dramatic scenery all around. It's also a great base from which to explore Milford or Doubtful Sounds, or an indulgent base where you have access to many of the regional activities including world-class fly fishing, hiking trails and nature walks. Located on the coastal peninsula of Monaco, ten minutes’ drive from the centre of Nelson, this hotel is perfectly positioned to explore all that the region has to offer. With a combination of hotel rooms and fully self-contained cottages, it provides a level of accommodation for everyone, from couples to ... families of all sizes. The resort provides all the comforts and conveniences you could wish for, from an award-winning restaurant The Orangerie to the health and beauty spa, pool and gym facilities. Located 12kms north of Kaikoura, Hapuku Lodge sits tight between the mountains and the ocean on a deer stud and olive farm. The custom-designed lodge has multiple accommodation options including 'treehouses' nested 30ft in the treetops. 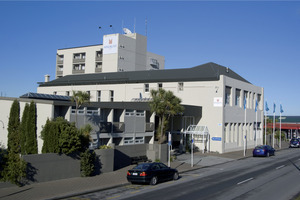 The Kingsgate Hotel is located in the centre of Greymouth which is convenient to the scenic attractions of the surrounding area, such as the Pancake Rocks at Punakaiki, or equally perfect for a stay if venturing down the west coast, towards the Glaciers. The hotel is also close to the ... train station and, if you are boarding the TranzAlpine to Christchurch, transfers are provided complimentary by the hotel. Set amongst manicured gardens on the tranquil shores of Lake Te Anau, the comfortable Kingsgate Hotel makes an ideal base for exploring Fiordland. Not to be missed is the renowned Bluestone Restaurant, whose menu incorporates fresh local produce such as Milford Sound crayfish and venison from the surrounding mountains, complemented ... perfectly with a glass of New Zealand wine and spectacular views over the lake and mountains. 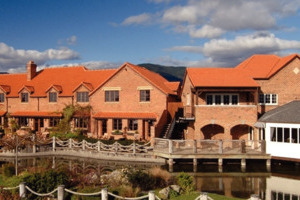 Old St Mary’s Convent offers boutique bed & breakfast accommodation in the heart of Marlborough’s wine region. 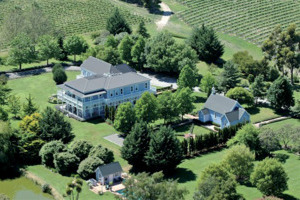 This former convent was built in 1901 and is set on 60 acres of vineyard and parkland. Just a 10-minute drive from Blenheim and 20 minutes’ drive from Picton, the property is well ... placed to discover the region and has retained its original charm and character. The five luxuriously appointed guestrooms are spacious and airy with timber floors and spectacular views of the surrounding hills and vineyards. Explore the countryside on one of the bikes available for use, or relax in the library with its ornate fireplace or in the beautifully restored 100-year-old wooden church located in the grounds for quiet contemplation. 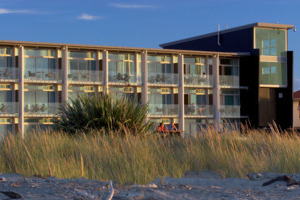 The hotel enjoys an attractive beachfront setting with spectacular views of the wild beaches of the West Coast and the Paparoa National Park rainforests. 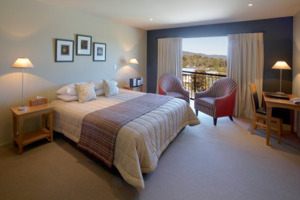 The modern and spacious rooms all have either a view over the Tasman Sea or are tucked away in the native bush. This is just the ... place to base yourself for discovering the region. In the vicinity there are lovely riverside walks, horse treks and kayaking. It's just a short walk to the famous Pancake Rocks, where years of weathering have created unusual layered stacks of limestone, and the dramatic Blowholes, best seen at high tide as the surf surges in and sends vast spumes of seawater into the air. 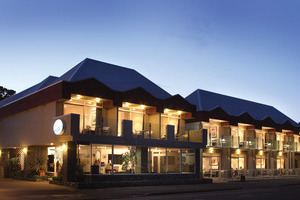 The comfortable Rutherford Hotel is located just a few minutes' walk from the shops, galleries and restaurants of Nelson. Dining options include Oceano seafood restaurant with views over Cathedral Gardens, and Miyazu Japanese restaurant for genuine teppanyaki. The relaxed and friendly Scenic Hotel Marlborough enjoys a really convenient location directly opposite the beautiful Seymour Square Gardens and just five minutes’ walk from Blenheim town centre. Blenheim is easily reached by air or road and the Interislander Ferry Terminal at Picton is just 20 minutes away by car. ... With the Marlborough Wine Trail close by, the hotel is also well placed for exploring the surrounding wine region. 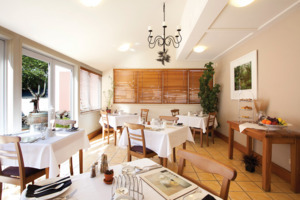 The hotel’s own Seymours Restaurant boasts an extensive à la carte menu featuring many local gourmet foods, and all complemented by Marlborough’s famous sauvignon blancs. 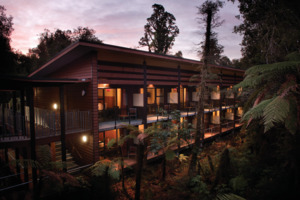 This new hotel, which only opened in 2009, is a stunning luxurious lodge-style retreat encircled by native rainforest on the edge of the popular little village of Franz Josef, and just minutes away from Franz Josef Glacier. Te Waonui is also at the cutting edge of sustainability, and reduces its ... carbon footprint through energy-efficient design and use of recycled building materials. Everything here has been selected to minimise the impact on the environment. The retreat's Canopy Restaurant serves hearty breakfasts and a gourmet evening dining experience, served either by the open fire or amidst the rainforest on the covered balcony. 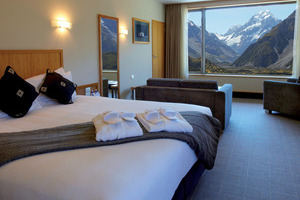 The Hermitage Hotel is the perfect base camp to enjoy the Aoraki Mount Cook National Park, the highest peak in the Southern Alps and a playground of snow, ice, hidden valleys and lakes. Journey through glacial valleys, enjoy mouth-watering dining and choose from accommodations that include premium rooms, motel units ... or cosy chalets. Add world-class activities such as Glacier Explorers, Tasman Valley 4WD and Argo Tours, scenic flights or the visual extravaganza of the Sir Edmund Hillary Alpine Centre and you have a unique, year-round alpine adventure in a serene environment. 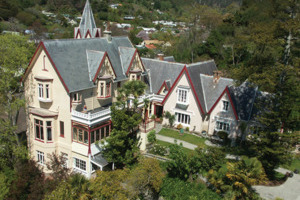 Offering luxurious boutique accommodation in one of New Zealand’s oldest and grandest Victorian mansions, the Warwick House is located in Nelson’s quiet ‘dress circle’ of leafy lanes and lies a pleasant 5-10 minutes’ stroll along the riverside from the city centre. Enjoying views over the city to the Tasman Sea, ... the Bayview and the Tower Suites offer rare luxury and ambience with superking double beds, clawfoot baths and period furnishings. The Warwick’s friendly hosts share with guests tales of the property’s intriguing history and in the Grand Ballroom breakfast is served to classical music. 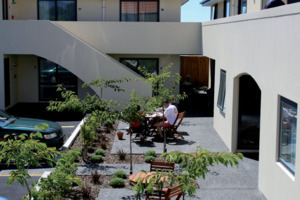 White Morph Apartments are superbly located in the heart of Kaikoura township, close to shops, cinema, marine activities and right on the waterfront, just 2 hours' drive from Picton, Christchurch and Hanmer Springs. The rooms are spacious and comfortable and you can awaken to the sounds of the sea. 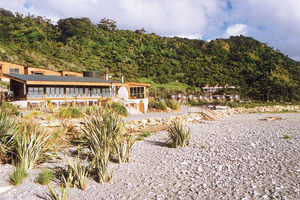 The ... restaurant features a wonderful selection of Pacific Rim cuisine complemented by the local wine and is regarded as one of the best in Kaikoura.